There are more than 600,000 social workers in the United States. Social work is also one of the fastest growing professions in the nation, according to the Bureau of Labor Statistics. In North Carolina, there are thousands of social workers working in various professional settings across the state. While some social workers in North Carolina may practice clinically as a Licensed Clinical Social Work or Licensed Clinical Social Worker Associate (LCSW or LCSWA), a license is not required for all forms of social work practice. Social workers are educated through a specialized degree program with national accreditation standards, a code of ethics, practice standards, and more. Our state is home to 23 Bachelor of Social Work (BSW), 12 Master of Social Work (MSW), and 1 Doctorate in Social Work (DSW or PhD) programs. Many of these social work programs are some of the very best in the nation. Each day social workers help people overcome life’s challenges so they can live more fulfilling lives. That is why this year’s Social Work Month theme, “Forging Solutions Out of Challenges,” is so relevant. It is almost certain a social worker has empowered you or someone you know. That is because there are social workers in all areas of our society who are dedicated to improving the well-­being of others. Social workers are in our schools, working with parents, teachers and administrators to ensure children reach their full educational potential. They are on military bases, veterans’ centers and in communities, working to get financial and housing assistance, benefits, and health care for our active duty military personnel, veterans and their families. They are in hospitals, making sure patients have the medical, family and community support they need to recover from illness. They are in our jails and prisons, ensuring that inmates have access to treatment and services during their time served. They help inmates transition back into the community in a way that they can live more fulfilling lives post incarceration and successfully integrate back into family life. They stand by the side of vulnerable children, helping them form new families through adoption or protecting them when they are neglected, abandoned or abused. Social workers also seek to protect neglected, abused, or possibly exploited aging or disabled adults. When a loved one dies social workers are there, helping survivors honor their loved ones and address their grief. Social workers, who account for the largest group of mental health service providers in the United States, put out a helping hand to help pull people out of the morass of mental illness and substance use disorders. And social workers are active in our communities and in federal and state government, pushing for programs, policies and legislation that benefit some of the most vulnerable people in our society, including older adults and children and people who are battling poverty and hunger. This nation faces complex challenges, including income inequality and racial and ethnic strife, and social workers are on the front line helping all sides forge positive solutions. Recognize social workers in your community during Social Work Month. Contact your local and state lawmakers to make sure hospitals, departments of social services, schools and other agencies have enough social workers on staff to provide needed services and that these social workers are properly compensated. Support legislation that benefits the people social workers serve, including the Improving Access to Mental Health Act of 2015. This bill, introduced in both the U.S. House of Representatives and the U.S. Senate, would help ensure there are enough social workers to meet the mental health needs of America’s rapidly aging population. And, during Social Work Month, take time to call, text or email the social workers in your lives and thank them. Buy them a cup of coffee, send them a card, or take them a meal. Rest assured they will appreciate it. 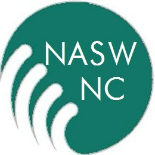 This entry was posted on March 1, 2016 by naswnc in Advocacy, Blog Posts by Topic, Membership and tagged LCSW, LCSWA, NASW, NASW-NC, nc social work, NC Social Work Advocacy, NCGA, social work, Social Work Month, Social Work Month 2016.